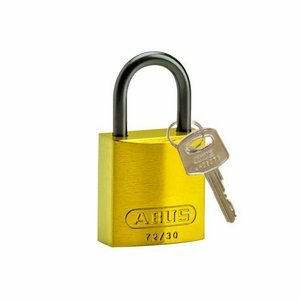 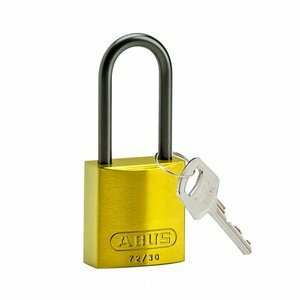 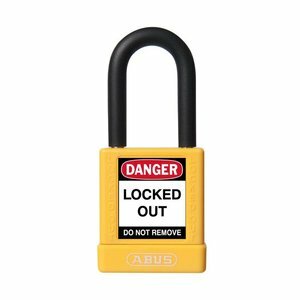 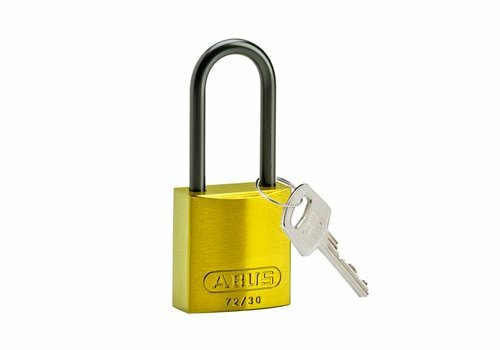 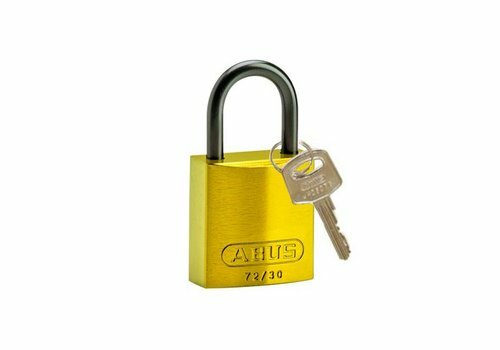 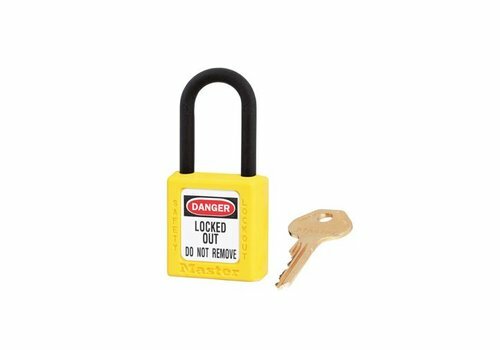 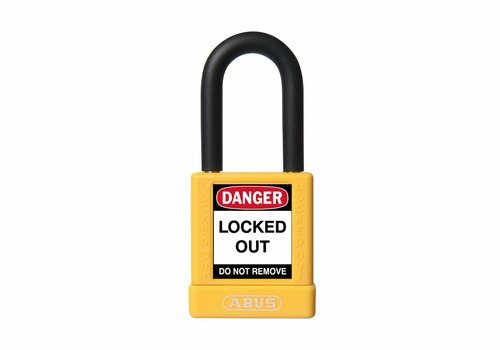 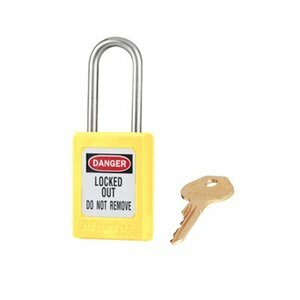 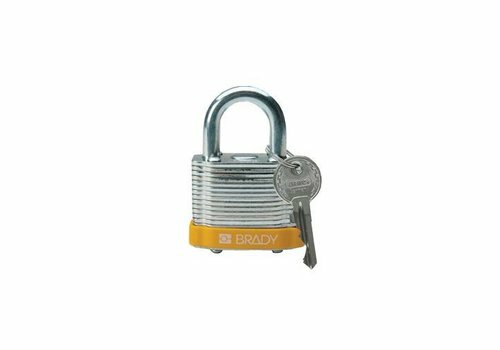 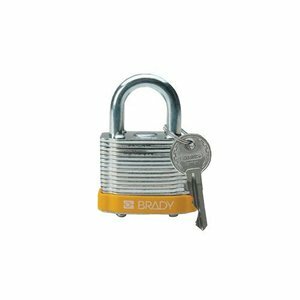 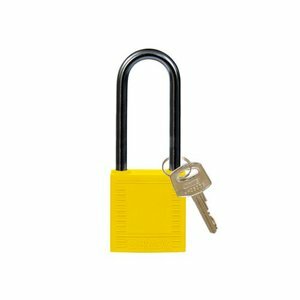 Laminated steel safety padlock yellow with a (ø 7mm, H 38mm) hardened steel shackle and key retaining function. 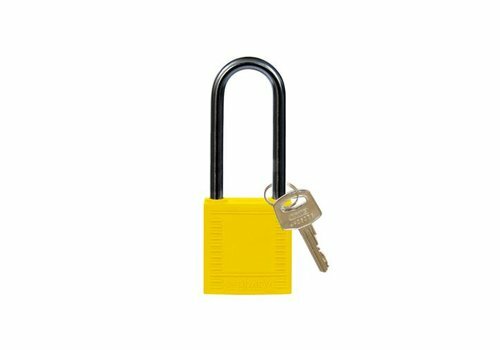 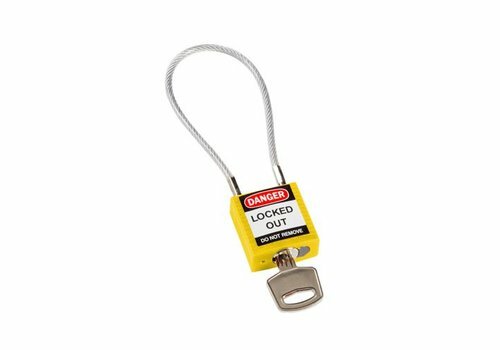 Nylon compact safety padlock yellow with a (ø 4,70mm, H 50mm) aluminum shackle and key retaining function. 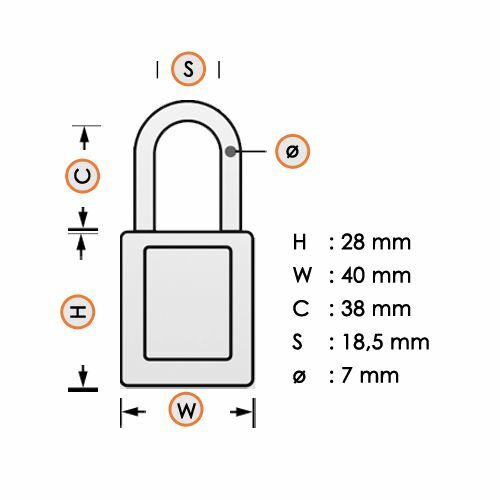 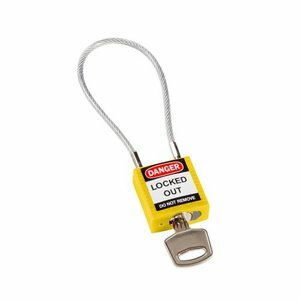 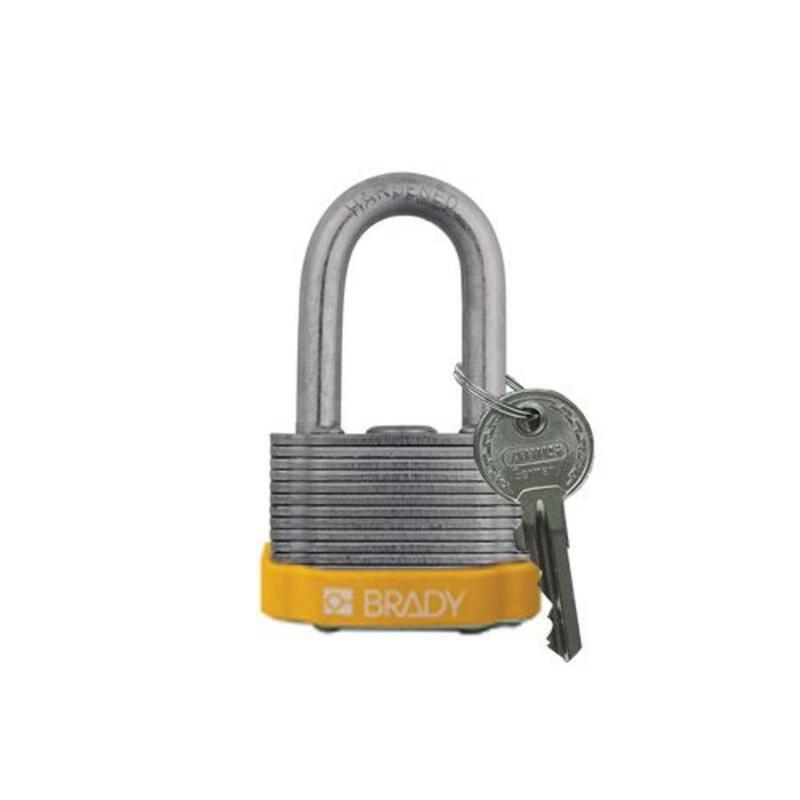 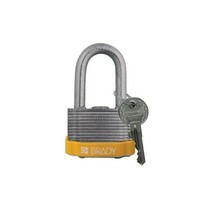 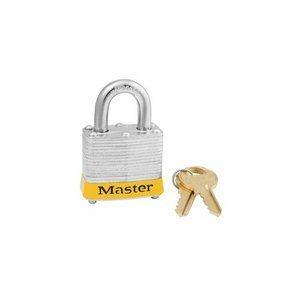 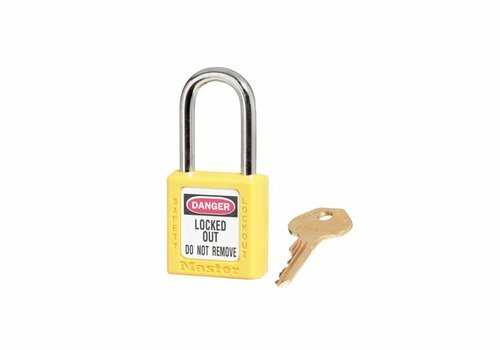 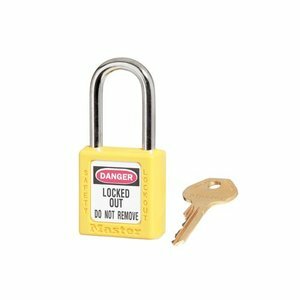 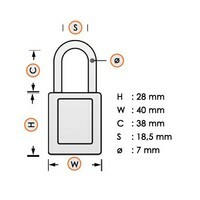 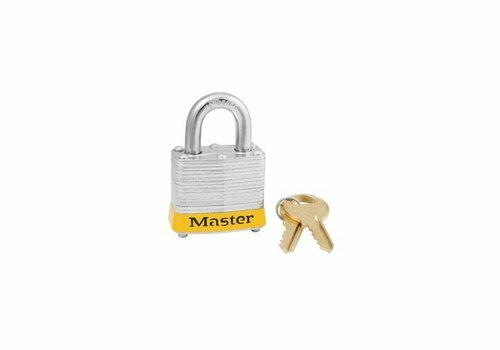 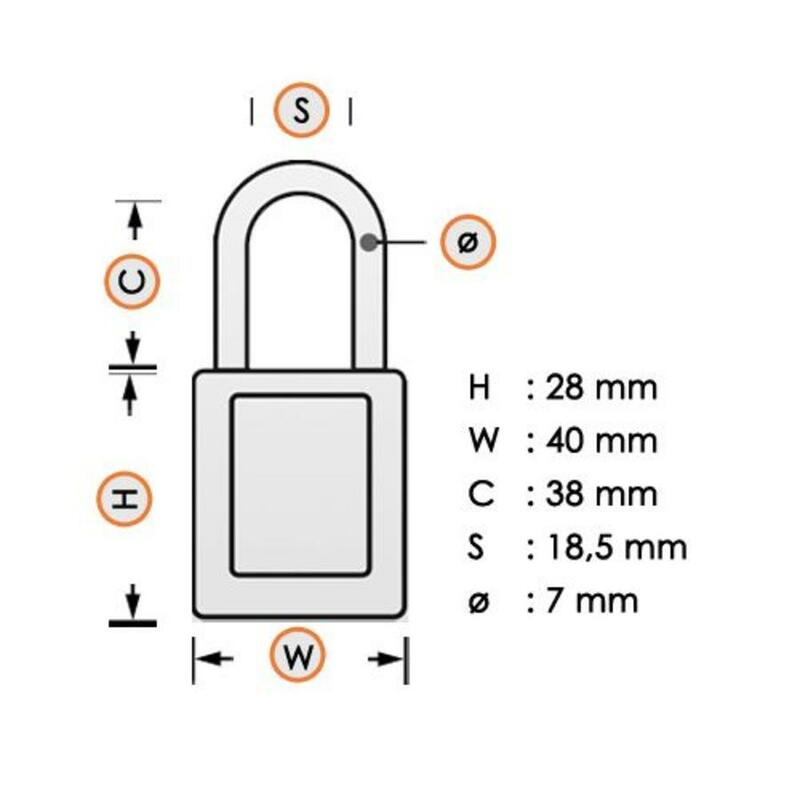 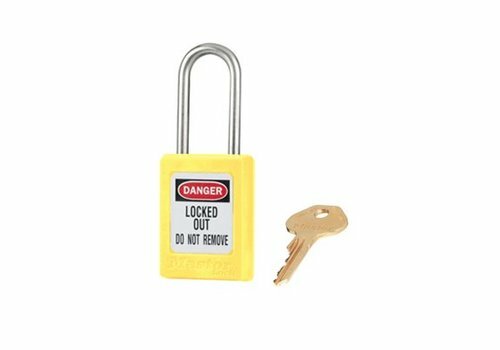 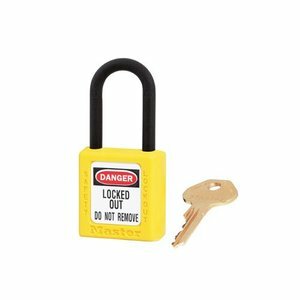 Laminated steel safety padlock yellow with a (ø 7mm, H 20mm) hardened steel shackle and key retaining function.